Doodlecraft: Star Wars Kyber Crystal Necklace! Star Wars Kyber Crystal Necklace! If you haven't seen Rogue One yet, you must. It's so good. It is a fabulous stand-alone story in the Star Wars saga. It's sad and happy and wonderful! Jyn learns a lot about trust throughout the movie. 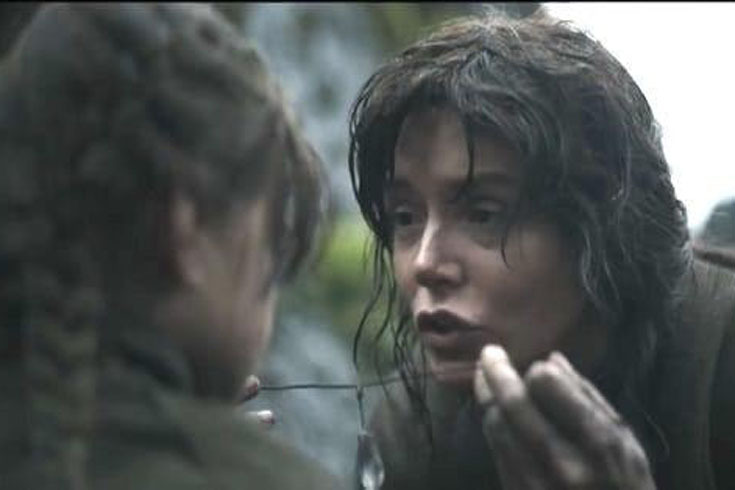 So let's take only 15 minutes to DIY a Kyber Crystal necklace just like Jyn's! This is part of Craft Lightning Valentine Edition! This is a great Valentine's day gift for that geek in your life! but this is such a cool recreation! I switched to a sharper blade. Then cut the glue stick to a slight point. Like you are sharpening a pencil with a blade. Then turn it over and make cut to a point on the other side. They are not exactly symmetrical. One side has a longer shaft and the other side is a tight point. 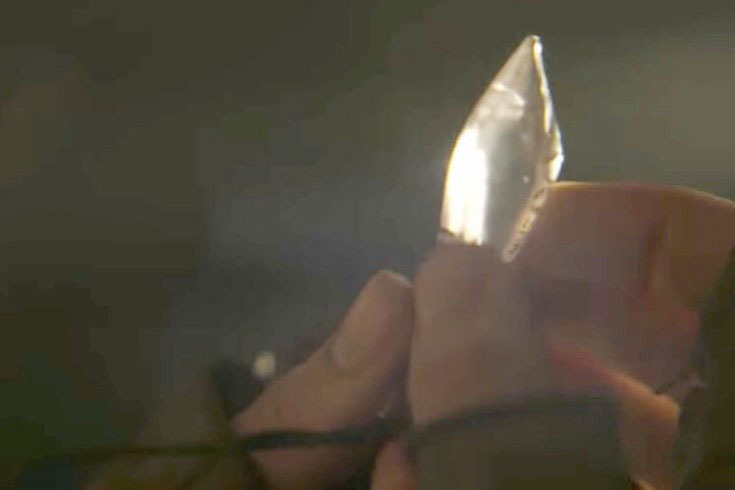 Just think of the crystal shape and go slow as you cut it. rather than cut lines and marks. Don't melt it too much. You can find all these supplies at any craft store. You'll also want some jewelry pliers and a poker to make a hole in the crystal. carefully bore a hole with the poker...a needle would work too. Roll it around to enforce the hole. Then string 3 inches of wire right through the hole. Wrap them up and twist the wires together. Use the jewelry pliers to make a loop at the top with the wires. Then put the leather cording through the hole. I used about 20 inches of leather cording...depends on how tight you want it to fit. It's perfection, just like Jyn's! Super simple to make and only takes minutes! These would be fantastic favors for a Star Wars party too! I love when I can make awesome things with super inexpensive supplies. Just right click to save off and print. Then you can make a cute display bag for your necklace gift! Like, save, pin, follow and share! I've got loads more STAR WARS inspired craft projects! This is such a brilliant idea! Thanks so much for sharing! So simple! I love it!